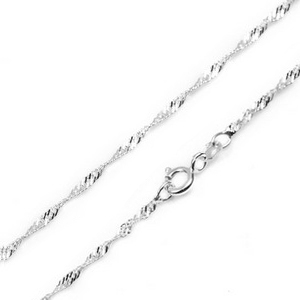 The twist of this sterling silver Singapore neck chain makes it sparkle! Choose a sterling silver charm or pendant to hang from this beatiful chain! Available in 16, 18 and 20 inch length.